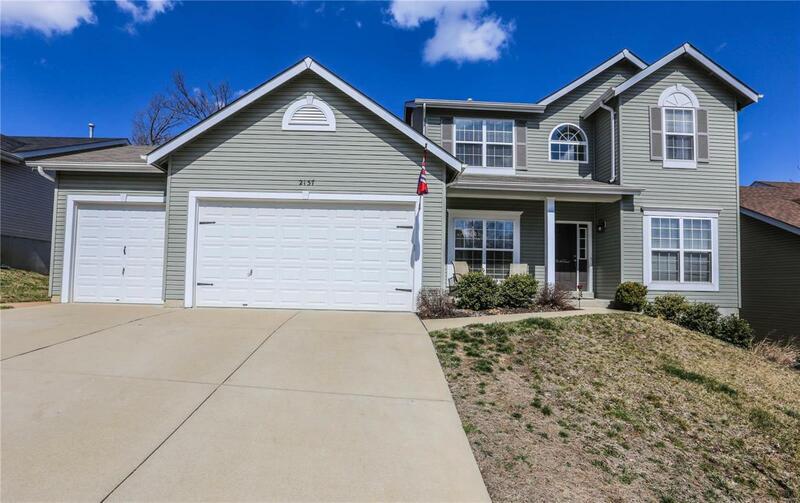 Stunning Four Bedroom Two Story Home in Sought After Harter Farms Subdivision. 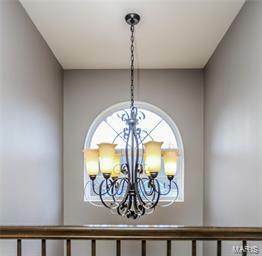 The Main Level Offers a Spacious & Open Floor Plan that is Perfect for Entertaining. The Great-room flows Nicely into the Breakfast Room & Kitchen. The Kitchen Offers Custom 42" Espresso Cabinetry with Stainless Steel Appliances & The Butlers Nook connects the Kitchen & Formal Dining Rooms. The Second Floor offers an Impressive Master Bedroom Suite with a Massive Walk-in Closet & Private Full Bathroom that Offers a Double Vanity, Over-sized Soaking Tub & Walk-in Shower. 3 Additional Nicely Sized Bedrooms & Full Bathroom Complete the Second Level. The Walk-out Lower Level is Waiting to be Finished & Offers a 9' Pour, Rough-in for a Future Bathroom & Plenty of Space for Storage. The Exterior offers a 3 Car Garage, Covered Front Porch, Spacious Deck and Patio on the Rear and a Fenced in Level Backyard. The Community offers a Club House, In-ground Pool & a Stocked Lake for Fishing. This Home is a True Must See!